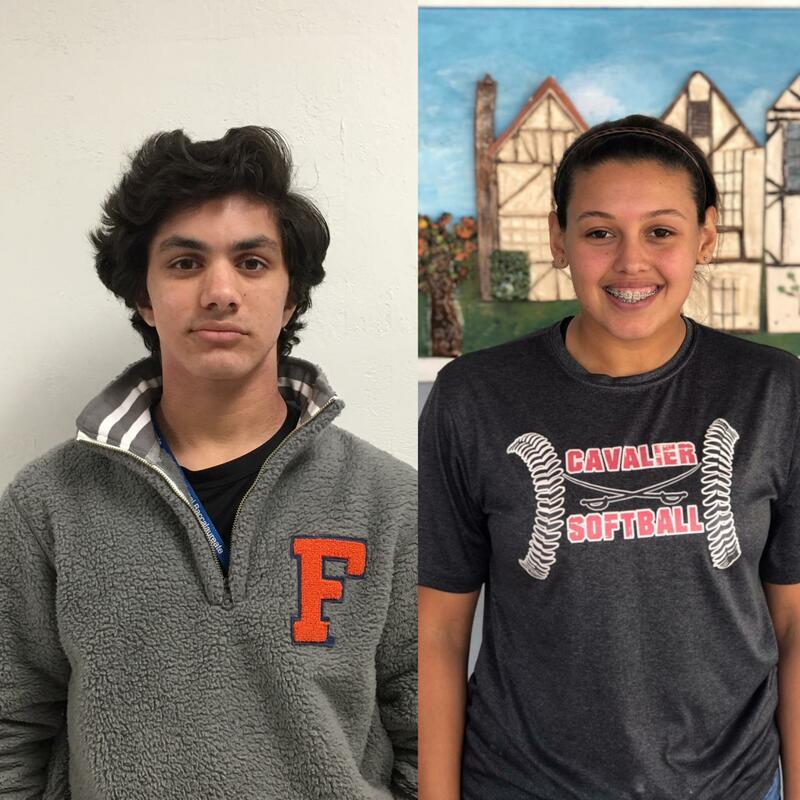 The two athlete spotlights, AJ Vazquez and Angelina Bonilla, for the time spanning between Jan. 7 and Jan. 18. 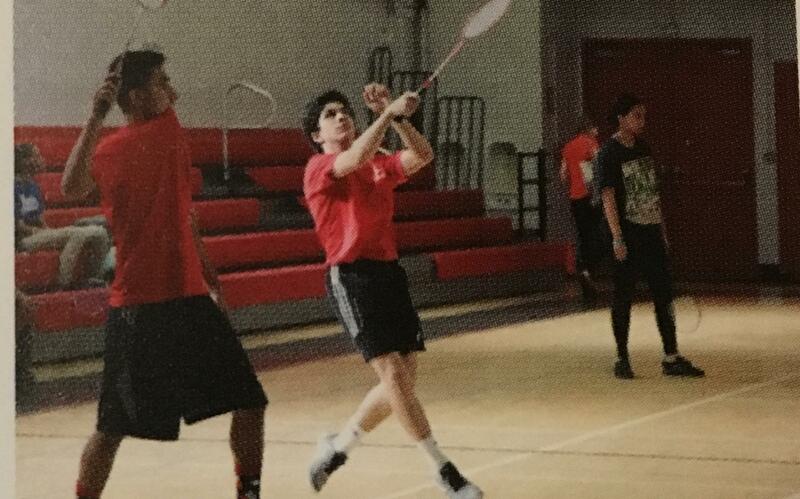 In what was supposed to be an innocent and spontaneous game on his middle school’s basketball court, Alejandro “AJ” Vazquez developed a love for the sport of badminton that has remained with him throughout the entirety of high school. While badminton may not be the biggest sport on campus, the Cavalier Badminton team expresses tremendous pride and passion for their sport, and Vazquez is the embodiment of it. Having been on the team since his freshman year, Vazquez has cherished the opportunity to improve his overall athleticism and polish his skills as a badminton player. A junior in the International Baccalaureate Program with a rigorous academic schedule, Vazquez knows little in terms of free time. However, whenever he has the opportunity, he dedicates time to perfecting his craft with a racket and shuttlecock. With the 2019 season just weeks away, Vazquez, along with the other members of the badminton team, have been investing tremendous amounts of effort and time into their passion, with high hopes of reaching GMAC competitions and vying for a district title. Although badminton has played a critical role throughout his high school experience, Vazquez looks to pursue a career in either business, medicine or dentistry in college, and he hopes to attend the University of Florida. Nevertheless, he remains focused on the season that lies ahead and is determined to guide his team to success in any way possible. Junior AJ Vazquez strikes the shuttlecock with his racket in a practice session. When did you first start playing badminton and what inspired you? I started playing badminton in eighth grade. Basically, my friend and I saw a couple of badminton rackets lying around in P.E, and we wanted to see how many hits we could get in a row. When we heard about the tryouts in ninth grade, we were all up for it. I really hope to make it to GMAC and to improve my skills from last year. Definitely the practices. They’re really fun. Also, at the end of the year, we have a big celebration at Big Cheese and Wall’s Ice Cream. How do you balance sports with academics once the season starts? Basically, I have to cut back on a lot of tendencies and bad habits, like going on social media and spending time on my phone. After games and practices, I don’t have a lot of time to lose so I try to prioritize the things I need to do whenever I can. Would you want to continue your sport in college? Probably not. Even if it’s an intramural sport, I do not think I would want to devote too much time to it. Do you have any advice for people that would like to join the team? You should definitely do it! It’s a lot of fun. A lot of people don’t think it’s real, but it’s really intense and not easy at all. Following in her sister’s footsteps, junior Angelina Bonilla began playing softball in hopes that she would gain the outstanding ability that her sister had on the field. She has since been part of various club teams and leagues and has earned several titles of recognition throughout her high school career. 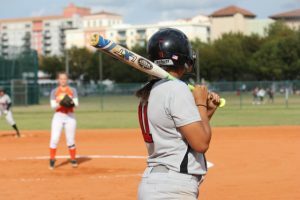 Most notably, she received the honor of being a part of the All-County Miami-Dade team in her freshmen and sophomore year. Additionally, she has paved the way to success for her Cavalier teammates and has also earned several Athlete of the Week honors. Bonilla’s never-ending passion for softball has grown evident in the events of her daily life, due to the time and dedication she puts into the sport to become the best athlete she can be for her teammates. Bonilla gets ready to bat against South Miami Senior High School. The Cavalier Softball team has had great success in recent years. Although they did not reach States, they have won various district titles. However, Bonilla is hopeful that her team will work harder than ever to earn a chance to play at States at the arrival of the 2019 season. A member of the Liberal Arts Program, she strives to find a healthy balance between her sport and academics. Bonilla has come to hold a positive mindset in everything she does in order to make the best of everyday situations and to prevent obstacles from holding her back from her goals. In turn, her dedication has never ceased to disappoint and has helped her tremendously throughout her journey as a softball player. When did you first start playing softball and what inspired you? I first started playing softball when I was about nine or 10 years old. I was inspired to play because my older sister had been playing it and I wanted to be like her. My goal for this season is to win States. My favorite part about being on the team is the friendships that we make with each other. How do you balance sports with academics? I’ve learned that in order to balance sports with academics I can’t get away with procrastinating to the last minute anymore. Yes, I would like to attend Florida Gulf Coast University where I could continue my academics and softball career. For anyone wanting to join it’s important to know that it’s not going to be easy, but if you do join and put in the effort it’ll be a lot of fun and it’s a great way to make friends.